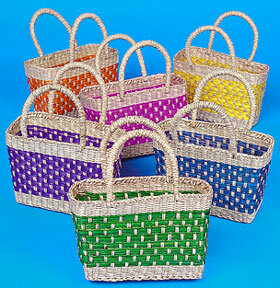 The woven sea grass "parrot purse" is great for filling with parrotraps, shredded paper, pre loved toys or special treats. 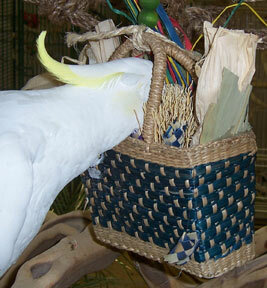 Check out picture where Timneh, Ditto, is sneaking up on Sydney to see what goodies he can nibble on! It became a family affair! 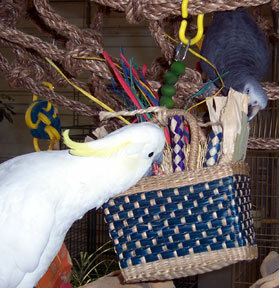 Great for for mid sized and larger parrots! 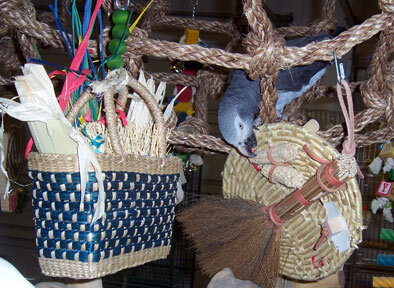 Be sure to use your imagination with this toy, you can hide some of your FIDs favorite goodies in here, it's the perfect foraging toy! 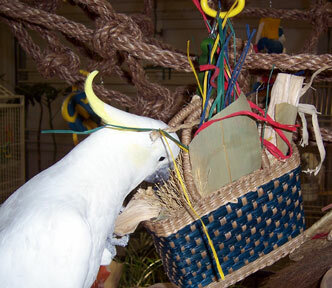 One of our customers wrote to tell us that she hides peanuts and goodies inside and YoYo (caique) goes crazy with them!